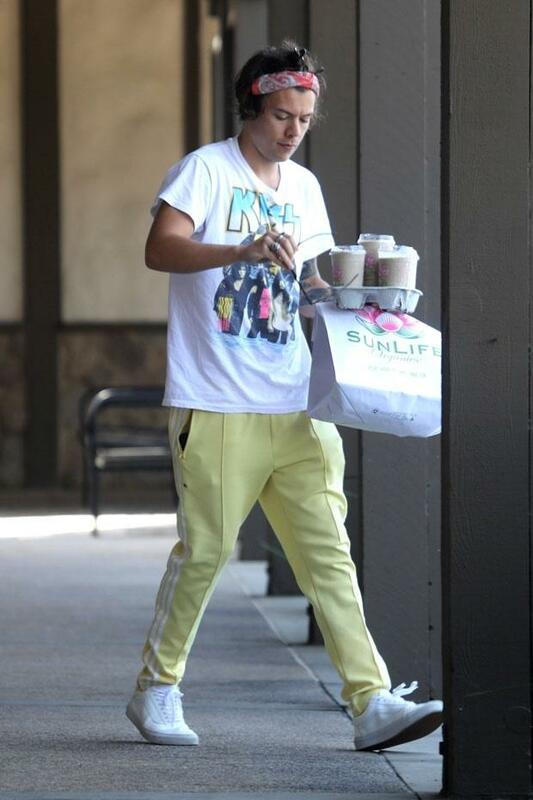 Cape Town – Harry Styles celebrated his Labour Day weekend grabbing breaki on-the-go in Malibu. 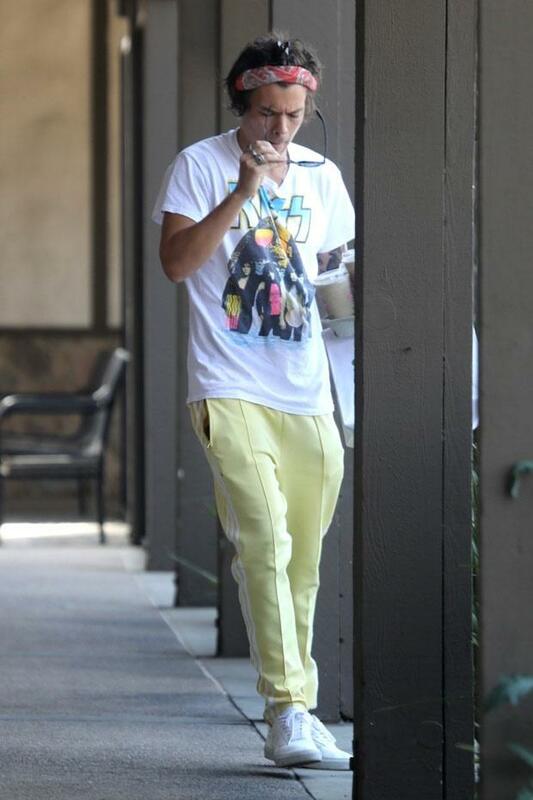 The Sweet Creature hitmaker cut a cool figure in sunshine yellow pants and a Kiss T-shirt while popping in at organic spot, Sunlife. 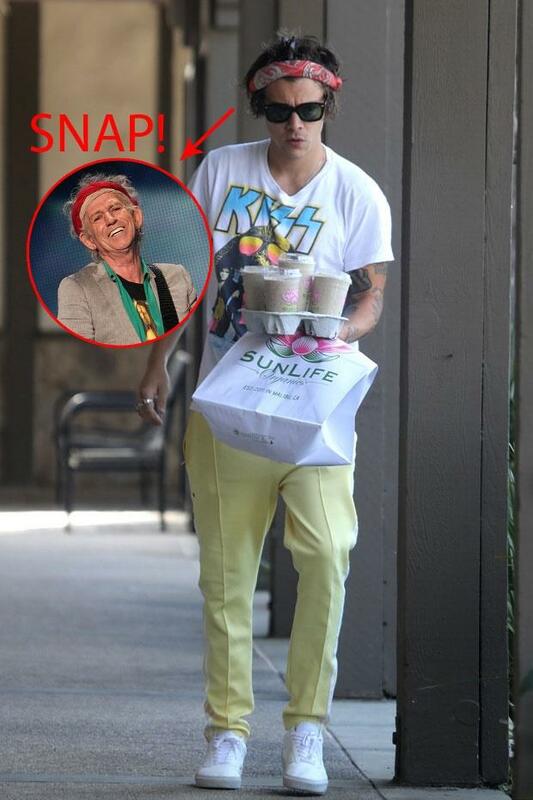 Harry also channelled Rolling Stones icon, Keith Richards with a red bandanna tied around his head to contain his wavy brunette locks. 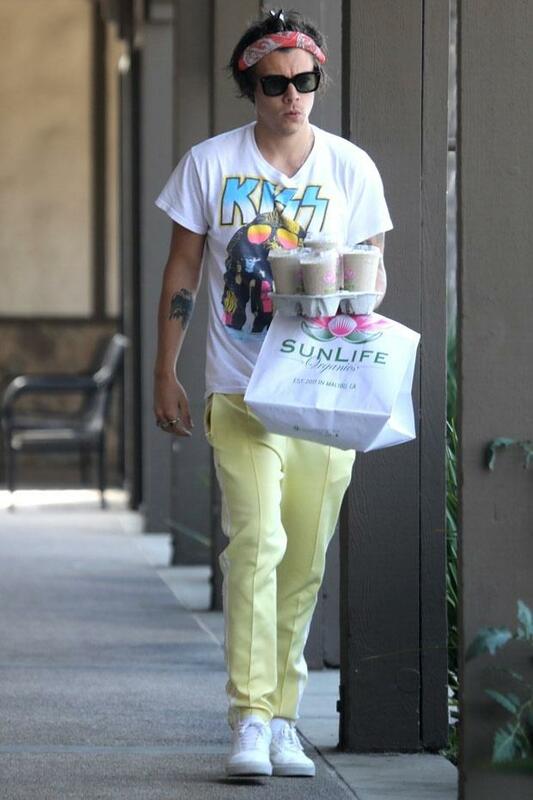 The 24-year-old emerged from Sunlife balancing a full tray of drinks as well as a takeaway parcel.